Brazil represents one of South America’s most important countries in terms of small-scale fisheries. The country boasts one of the longest coastlines on the continent and more than 60 percent of landings come from artisanal fishing. In addition, 98 percent of registered fishers in Brazil are small-scale. However, the country remains a net importer of seafood and 80 percent of all fishing activities are considered to be unsustainable in terms of management. Beyond the science, there is real urgency to addressing this issue. Billions of people in Brazil and around the world, often the poorest and most marginalized, depend on fish for protein. The combination of these factors make Brazil a perfect country for the Fish Forever partnership. Fish Forever aims to empower communities to sustainably manage their marine resources through the establishment of territorial user rights for fisheries (TURFs) in combination with no-take marine reserves, created through a participatory, inclusive process that culminates in a system of co-management. One of the greatest enabling conditions for sustainable fisheries management in Brazil is the establishment of extractive coastal and marine reserves (RESEX in Portuguese) for small-scale fishing communities. RESEX are designated areas in which only certain extractive activities are allowed and are set up to protect the rights of coastal communities. 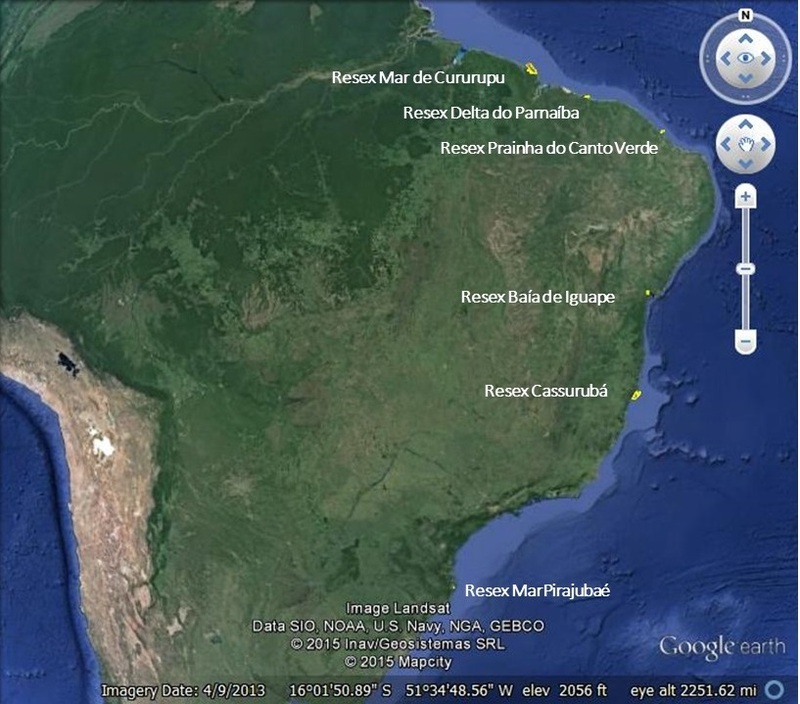 Fish Forever will work in 6 RESEX along the Brazilian coast. On the water, the RESEX are designed to promote sustainable fishing by traditional fishermen, as opposed to large scale industrial fishing. These RESEX are considered multi-use, and they count on multi-stakeholder councils to govern them and create resource management plans. Fish Forever partners, including EDF and University of California Santa Barbara, recently accompanied Rare in a thorough process of site selection that resulted in the selection of six sites in six different RESEXes along the coast, where communities will begin TURF-Reserve implementation later this year. Rare Brazil, along with community leaders, the local fishing community councils and the Chico Mendes Institute for Conservation of Biodiversity (ICMBIO in Portuguese, the government institution involved in co-management of the RESEX), are working together to identify opportunities to strengthen the RESEX system for fishery management in their communities. In each of the six RESEXES, they are analyzing the feasibility of modifying the scale of user rights, creating meaningful no-take reserves, and most important, identifying new incentives for fishing communities to become long-term stewards of their valuable marine resources. 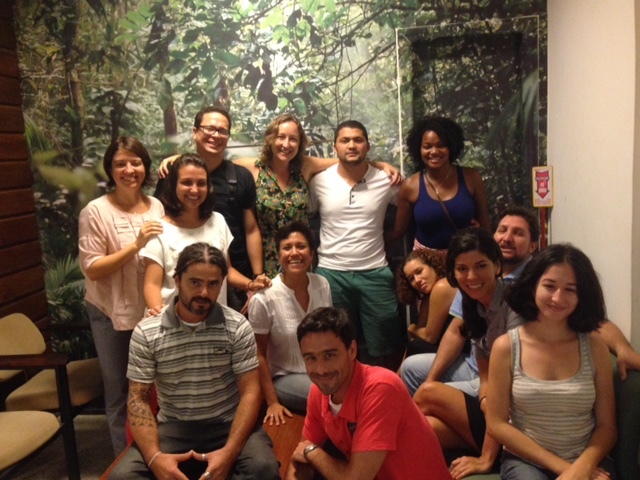 This past month I was able to participate in the first training phase of the Fish Forever Campaign Managers at the headquarters of Rare Brazil in Rio de Janeiro. Campaign Managers, who are community members in each RESEX, went through a rigorous selection process similar to the one that that Rare utilizes to select Campaign Managers for all of their global programs. 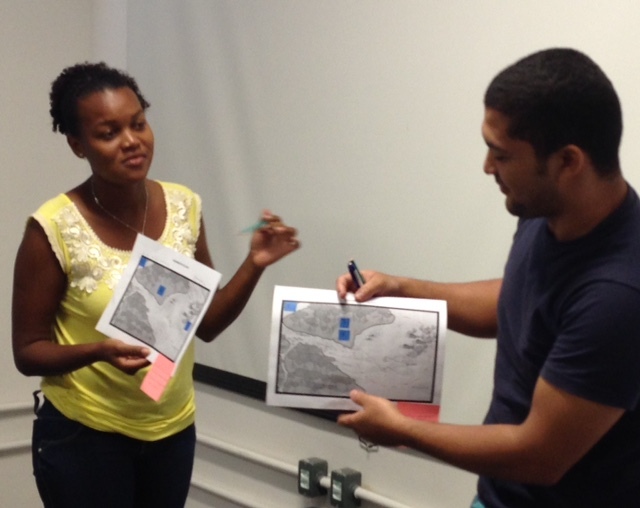 The Brazil Campaign Managers were given training to enable them to use social marketing and other proven techniques to change behavior and to build community support for natural resource management. They were also introduced, via the Fish Forever curriculum, to the science and theory behind designing and implementing TURF-Reserves, the fishery management approach that will be applied in the Fish Forever program. The result was Campaign Managers learning and strengthening crucial skills on research and planning for TURF-Reserves, ranging from engaging fishers in a participatory process, conducting site-level qualitative and quantitative research, goal setting and fishery management inside the TURF. Several guest speakers were also invited to the training sessions, including Guilherme Dutra from Conservation International, who spoke about the new market initiative program Pesca + Sustentavel, which won the Google Brazil Impact award. This program will work with onsite staff to implement a market initiative for sustainable seafood in at least three of the RESEX sites where Fish Forever will be working. Campaign Manager Fabricio Gonçalvez, said that the week provided “knowledge and very applicable activities for us to use to help manage fisheries more sustainably.” He believes that the design of “no-take marine reserves and market initiatives will play a key role in the program.” Georgia Pessoa, Director of Rare Brazil, looks forward to supporting the Campaign Managers’ work on the ground by collaborating with government agencies, such as ICMBIO, and other NGOs working on marine and coastal environments. Through active collaboration with other NGOs, Fish Forever can increase the impact of this innovative and important program for the future of fisheries in Brazil. This entry was posted in Fish Forever project, International and tagged Brazil, community empowerment, RESEX, small-scale fisheries, TURF Reserves. Bookmark the permalink. Both comments and trackbacks are currently closed.